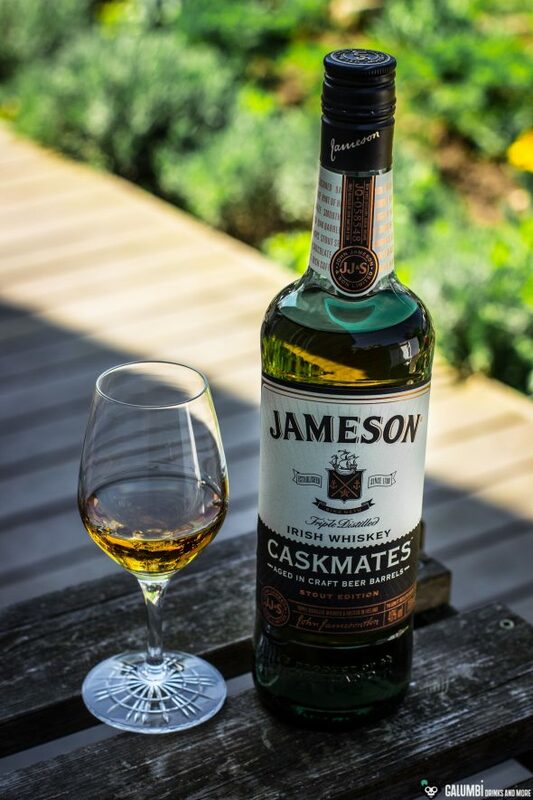 The reasons are relatively quickly and clearly outlined: The Jameson Caskmates Stout Edition Whiskey comes from the most well-known Irish whiskey distillery that hardly anybody who travels to Dublin as a tourist misses to visit, the price performance ratio of this bottle promises to be very good, the finish in Craft Beer casks is certainly a contemporary, innovative and promising idea (especially since I love Stouts and Porter) and as an ingredient for the use in cocktails it also seems to offer a lot of potential. Of course, you have to accept a few drawbacks when it comes to today’s bottle: The whiskey does not offer an age specification, it is chill-filtered and on top of that it is also artificially colored. So, if you approach this blend with the higher expectations you would apply to single malts, you might be a little disappointed. But considering the bottle price of about 25 €, you might expect some things like that and readily accept them. 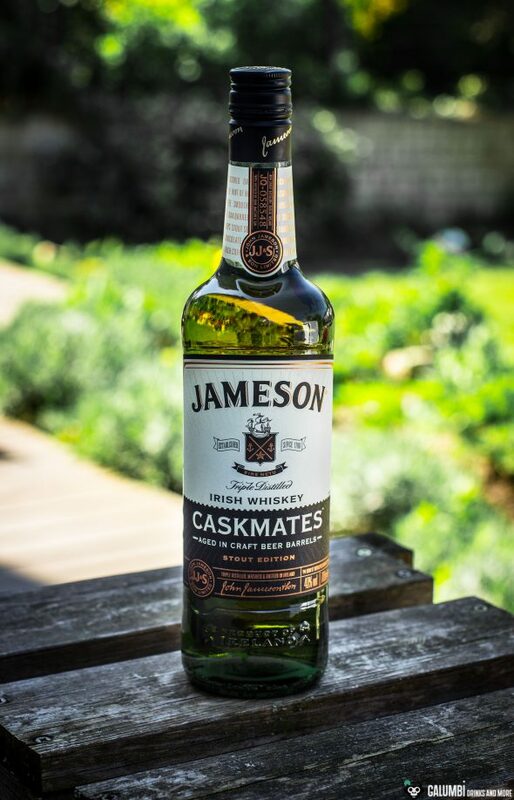 How long exactly the Jameson Caskmates Stout Edition was finally finished in stout casks remains a secret, as does the general age of this whiskey. And if you should first think of Guinness when it comes to Dublin, Ireland and Stout, you’re wrong too, since the stout casks come from Franciscan Well Brewery, which is located in the city of Cork. Finally, the whiskey is bottled at an ABV of 40% vol. Aroma: The first impression does not immediately reveal the influence of the stout casks. Instead rather typical notes of a Jameson appear: fine vanilla tones, behind that some green apple wood and light, floral notes. However, after some time, some oak comes through which goes hand in hand with malty tones reminiscent of chocolate. I inevitably have to ask the question what would have been possible here with a much longer time of maturation. Taste: Here, too, it starts with a fine and mild vanilla, then again some green apple and pear and some cocoa. It is not a very multi-dimensional whiskey, but offers a very pleasing taste accent through the stout barrels. 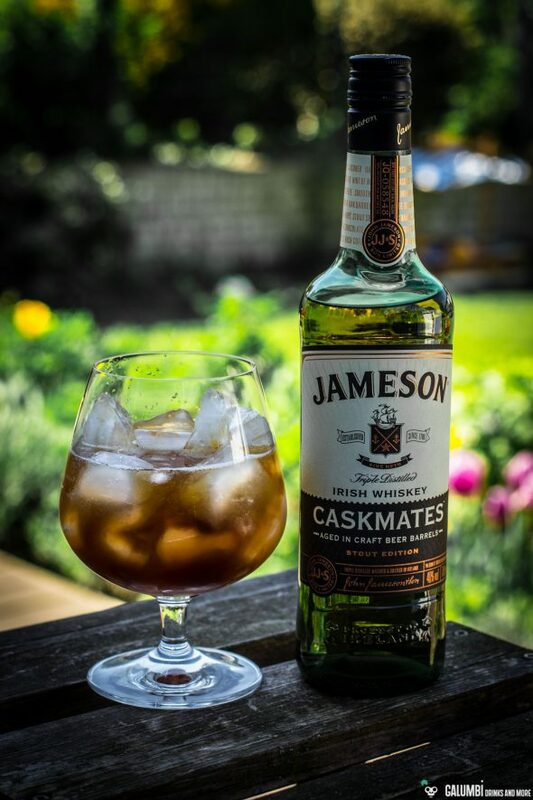 Well, the Jameson Caskmates Stout Edition is definitely an interesting whiskey with a lot of potential. I would have really liked to try it in a slightly older version. But who knows what Jameson plans to do here in the future? As a cocktail ingredient, however, the whiskey absolutely convinces me. 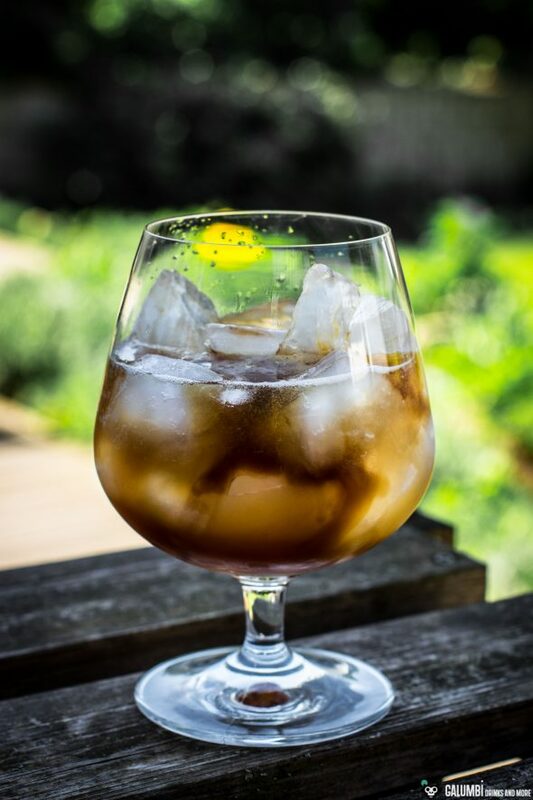 I used it in a twist on a cocktail that is actually called “Scotch Apple” (hence the name “Stout Irish Apple”) and changed some accents of the original recipe. Alongside the Jameson Caskmates Stout Edition, Calvados (I’ve opted for the Daron Fine here), some lemon juice, cinnamon syrup and sugar syrup (to keep the cinnamon from getting too dominant), a dash of Orange Bitters and some stout round off the picture. This may sound quite autumnal (and I’m sure it also tastes great during autumn), but even on a rainy spring day, the drink really tastes excellent. Preparation: Shake all ingredients (except for the stout) in a shaker vigorously on ice and strain into a tumbler filled with ice cubes. Finally, float with some stout. Buying sources: at specialized retailers or online.